From street vendors, outdoor flea markets and beachside kiosks to prestigious high end shopping malls and everything in between, Rio de Janeiro has something to satisfy the shopping urge in everyone. 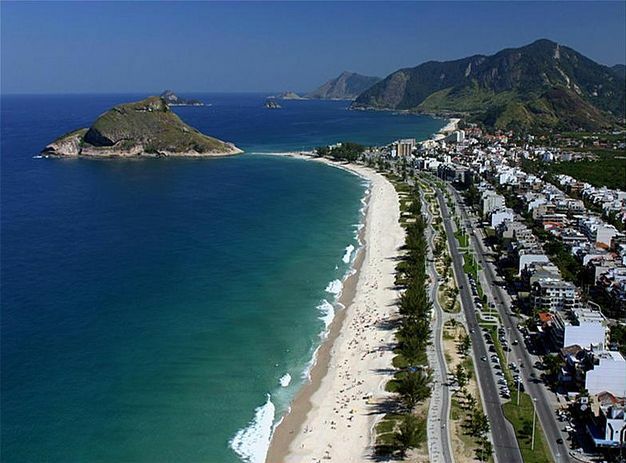 Below you will find introductions and links to more information about some of the best places to shop in Rio de Janeiro. Keeping with the theme of our site, we only include those places that are convenient to get to using public transportaton. Ipanema and Leblon: Ipanema and Leblon to the west are situated on a strip of land that runs between Ipanema Beach on the Atlantic Ocean on the East and the Rodrigo de Freitas Lagoon. There are plenty of opportunities to satisfying your shopping aspirations in this area, although most, but not all are upscale and thus a little pricey. One of the funnest places to shop, not only in Ipanema but in all of Rio, is at the so called Hippie Fair Crafts Market. This market is only open on Sundays from 8am to 6pm in Praca General Osario which was a hangout for hippies way back in the 1960s. 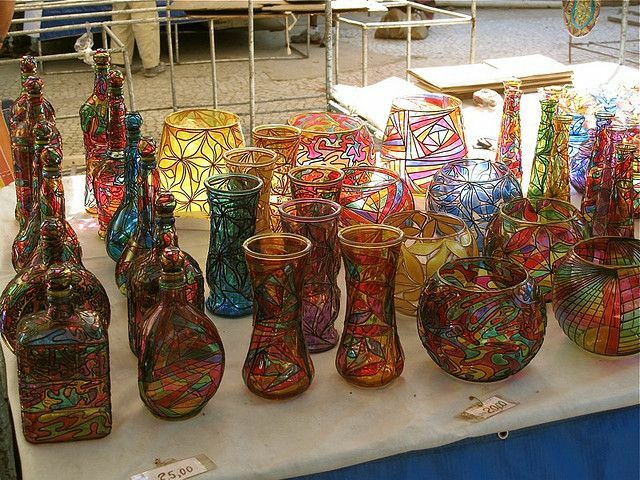 You will find all kinds of unique and interesting items, crafts and works of art for sale here, many of them handcrafted. You will also find plenty of food items on sale as well. Be sure to bring some cash along as you are certain to find plenty of things worthy of a purchase. To get there simply take Metro Line 1 to Ipanema / General Osório station. Major shopping areas in Ipanema include Rua Visconde de Piraja, which runs from west to east through the city centre and Rua Garcia D'Avila which crosses it from north to south. The latter is lined with palm trees and many upscale and boutique shops, restaurants and cafe's. Some equate with the likes of 5th Avenue in NYC, Yonge Street in Toronto, or Robson Street in Vancouver. If you prefer a mall you can head a bit west to the upscale Shopping Leblon at 290 Avenida Afranio de Mello Franco. In addition to the above you can also find some interesting items from the many street vendors and kiosks. This is especially true along the beachfront area. If you are relaxing on the beach you will find many vendors will come to you. You may, or may not, find this annoying. Barra da Tijuca: Two of the highest rated shopping centres in Rio is Barra Shopping located at 4666 Av. das Americas and also the Shopping Village Mall located just east at 3900 Av. das Americas. Both are located in the upscale neighbourhood of Barra da Tijuca and are within walking distance of the Alvorada Bus Terminal. To get to the shopping centres cross over the pedestrian overpass just east of the bus terminal and double back to the east along the sidewalk on the other side. Follow the sidewalk east and watch for the pedestrian underpass that crosses over to the mall. Our full page on Barra da Tijuca has directions for getting to that part of the city. Fair of St. Kitts - Feira de São Cristóvão: This huge marketplace is a fun place to visit and look for bargains or just browse. The market consists of many independent vendors set up under tents in what is otherwise an open air colliseum. Often you will find live entertainment and a very party-like atmosphere happening here. 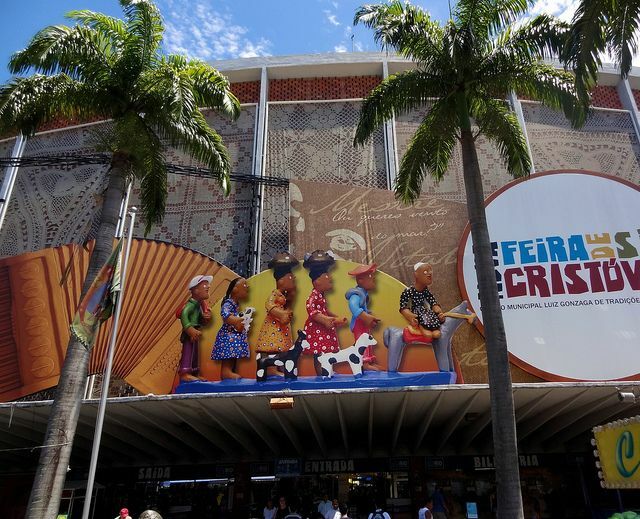 A couple of other good choices for shopping in Rio that are easy to get to on the metro include Botafogo Praia Shopping Centre which is located just one block north from Botafogo Metro Station and Rua Sao Jose, a pedestrian only street that runs northeast from Carioca Metro Station. It is lined with a wide variety of shops, restaurants and many street vendors. The latter forms part of the route for our Central Rio de Janeiro Walking Tour.